When people think of search engines, the first name that comes to mind is often Google. 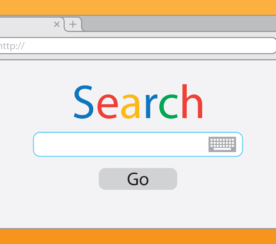 It’s one of the most enduring brand names, and it has even worked its way into mainstream vernacular, and today many people substitute the phrase “searched online” for “Googled”. According to comScore, Inc., Google and its affiliated websites comprise 67.6% of the search engine market share in the United States, and, according to Netmarketshare 66.44% worldwide. Though prominent, Google is not the only search engine available. There are innumerable others that provide various interfaces, search algorithms, and other unique features. Many even base their search algorithms around specific philosophies, ones that often attract brand-new audiences. In descending order, the remaining most popular search engine companies in the United States, by market share after Google, are Microsoft (18.7%), Yahoo (10.0%), Ask Network (2.4%), and AOL (1.3%), according to ComScore report. Likewise, according to December 2014 data, the remaining most popular search engines worldwide by market share are Baidu (11.15%), Bing (10.29%), Yahoo! (9.31%), and AOL (0.53%). The exact data is highly variable based on who’s reporting it, and it varies even further on a month-to-month basis. But generally speaking, the ranking order does not vary much. This list does not necessarily include the 12 most used or well-known search engines after Google; instead, it includes search engines that differ from one another in terms of history, philosophy, content, targeted audiences, and other variables. 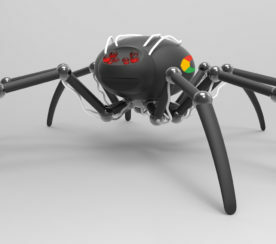 With that in mind, lets take a look at 12 of the most underrated search engines. Based on comScore’s data, the next most powerful player in the search engine industry is Microsoft and its search engine, Bing. Key differences between the two engines, according to the New York Times, lie in backdrop, search tools, and the amount of information offered on the immediate search page. Bing sports striking, engaging home pages, a display tool when searching for airline flights, aggregate restaurant rating badges, and more. 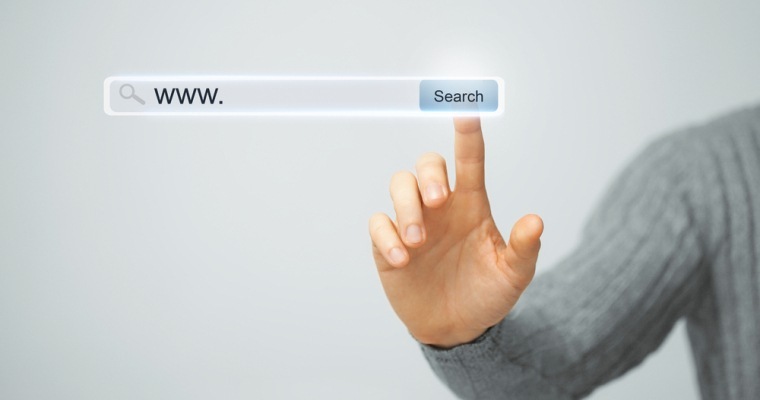 One popular feature is its “linkfromdomain:” search term. This term allows users to see the most frequently used outgoing link from a given site. This can provide easy access to research pages or recommended sites from a trusted source. Another operator, contains:FILETYPE, allows users to search by file type. Researchers and students with specific softwares may search specifically for PDFs, Word documents, Excel spreadsheets, different photo types, and more universal file types on a whim. This helps to rule out unnecessary documents. Bing’s clean interface particularly excels when searching for videos. The video searches don’t integrate well with text searches on Google. 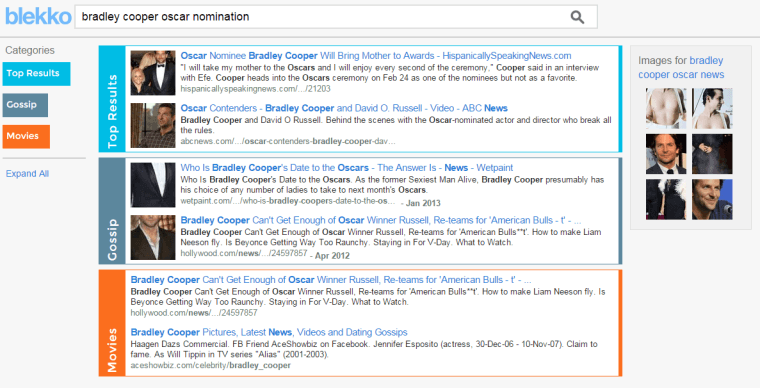 On Bing, the listed videos fit neatly side-by-side in an interface that best accommodates them. This helps to cut down on the amount of time a user would spend scrolling. Bing hasn’t been shy in comparing itself to Google, either. It has even launched a website titled “Bing It On” which directly compares its search results to those of Google. Another powerful competitor in the search engine market is the long-enduring Yahoo. For many, Yahoo is much more than a search engine; it’s an online Swiss Army knife. In addition to its search engine, the Yahoo Web portal offers easy access to its news aggregator, games center, retail options, travel guide, horoscope, and other varied features. Yahoo Finance is a popular aggregate for some of the best financial news available, combining information from CNN Money, The Street, and more. Another extraordinarily well-used feature of Yahoo is Yahoo Answers, which is a forum that allows people to phrase questions in ways the traditional search engines have difficulty handling. Other users can view questions and use their background knowledge and tailor their answers in a personalized manner. Other popular aspects of Yahoo include easy photo sharing (facilitated by Yahoo’s purchase of Flickr), local news through Yahoo Local, and myriad entertainment options. By having all these convenient features in one place, users rarely have to venture elsewhere if they don’t want to. 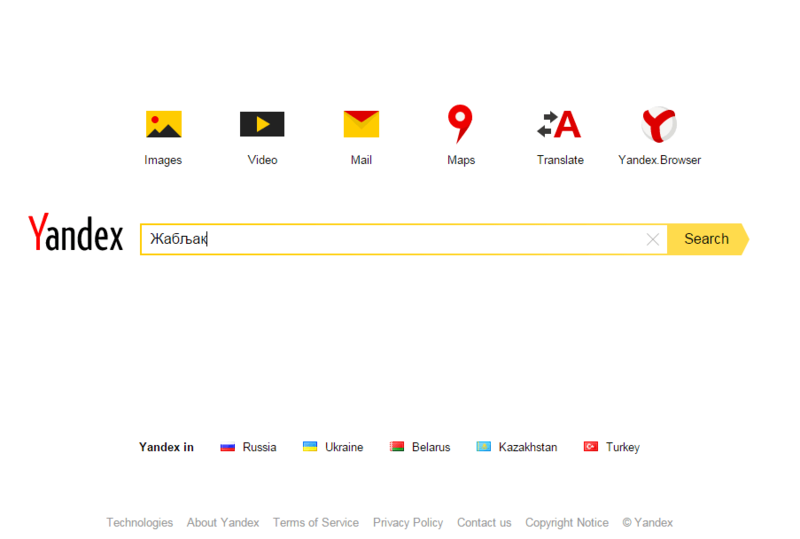 Founded in Russia in 1997, Yandex has quickly risen to become the country’s premier search engine. Since 2010, it has gone worldwide and become a popular resource for those looking for easy-to-use search pages between different languages. Its translation and cross-lingual search options are featured prominently on its homepage, and it accommodates English, Russian, German, French, and smaller Eastern European languages. This allows bilingual searchers or students working on language projects to more easily find whatever it is they’re looking for. 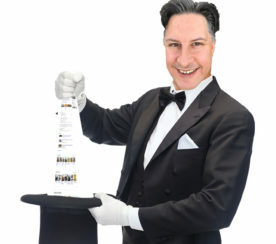 The search engine formerly known as “Ask Jeeves” was easily one of Google’s greatest competitors during the early days of the World Wide Web. Though not the hot commodity it once was, it remains popular for its accommodation of natural, colloquial language. After a user poses a question, it provides possible answers and a large list of other pertinent questions. Ask’s historic accommodation of vernacular has, in essence, found a spiritual successor through voice commands and searches on mobile devices. Thanks to Apple’s Siri (which relies on Bing) and the Google app, there’s less stigma over voice commands, and they’re becoming more popular. With Siri, users are directly able to bypass using their other apps or search engines by just asking their phone a question. Though Ask may have popularized the use of dialectal searches, it unfortunately is not as well-integrated with the programs that now champion them. For those unsure of which search engine to use, many default to Dogpile — the engine that aggregates from pretty much everyone else. 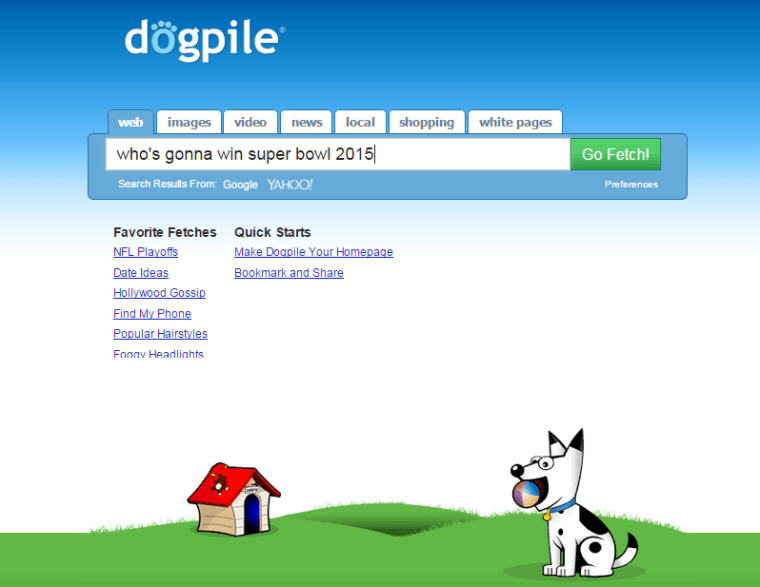 Like Ask, Dogpile is another site with early online history and considerable brand loyalty. Search results (from Google, Yahoo, Yandex, and more) are set upon a focused interface of white and varying shades of blue. Many prefer Dogpile for its chic design, comprehensive answers, and a template that doesn’t prove too distracting or cluttered. Its listed features include: Category Links, Yellow Pages, White Pages, Statistics Bar, Search Finder, Preferences, Spelling Correction, About Results, and Favorite Fetches. A user’s Dogpile experience is easily personalized to a user’s liking. Many Internet users are unfamiliar with the Deep Web. According to CNN, the Deep Web encompasses everything traditional search engines having trouble finding. Pages in the Deep Web may be relatively unconnected to other parts of the Internet or housed on private networks. Search engine Yippy (formerly Clusty) searches the Web using other search engines, but it provides results in the form of “clouds” instead of traditional search methods. This makes it more likely to find pages that would be otherwise buried or nearly impossible to find using search engines like Google or Yahoo. Though Yippy doesn’t have the ability to scour the every corner of the Deep Web (no search engine does), it is much more capable and efficient at finding pages for users with more obscure and niche tastes. With a name based on the popular kids’ game Duck Duck Goose, Duck Duck Go is a website that many find as approachable, user-friendly, and engaging as the game. Duck Duck Go’s first priority is protecting user privacy. Many adults of all ages find themselves concerned over identity theft and hacking; these issues regularly appear on both local and national news. This search engine doesn’t reach into your history, email, or social media workings to drum up relevant information. Two totally different people can search the same term and get identical results. The search engine also maintains a handy infinite scroll option (no need to click to other pages), reduced advertising spam, and prompts to help clarify a question. First launched back in 2000, EntireWeb is a search engine that requires pages to submit their websites to it for free. This results in a much less crowded search space and guarantees those who submit are less likely to be drowned out by other competition. Queries can be submitted for regular Web search, image search, or real-time search. Created just a few years ago in 2010, blekko (with a stylized lowercase “b”) is the search engine clearly inspired by Twitter. While Twitter (and now other social media sites) has “hashtags,” blekko has “slashtags.” When searching something in its database, blekko provides users with a series of related key words with which to narrow their search. 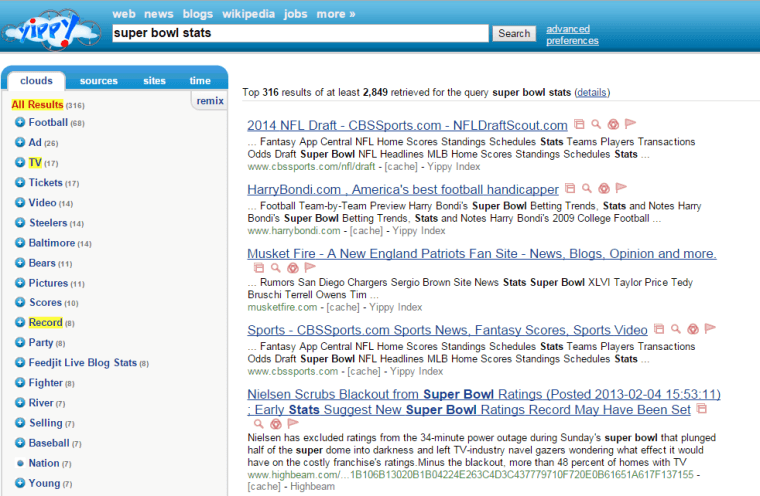 For instance, searching “celebrity news” on blekko turns up the slashtags for Top Results, Gossip, Magazine, and Latest. Blekko’s interface, which combines minimalist squares and a varied color palette, is considered very user-friendly. Recent years have seen an uptick in people’s interest in engaging technology in an ethical manner. As corporations such as Google and Microsoft continue to grow steadily more powerful, people have been better scrutinizing where their money and attention go. Goodsearch is a search engine for the charitable. Fueled by Yahoo, Goodsearch allows users to pick a cause of their choice; this can be a nonprofit organization or school. Upon selecting their target, Goodsearch will begin donating 50% of its revenue from that user to their cause. To date, Goodsearch has donated well over $11 million to a variety of sources. According to Goodsearch, the American Society for the Prevention of Cruelty to Animals (ASPCA) has received more than $50,000, and St. Jude Children’s Research Hospital has received more than $18,000 from the website. 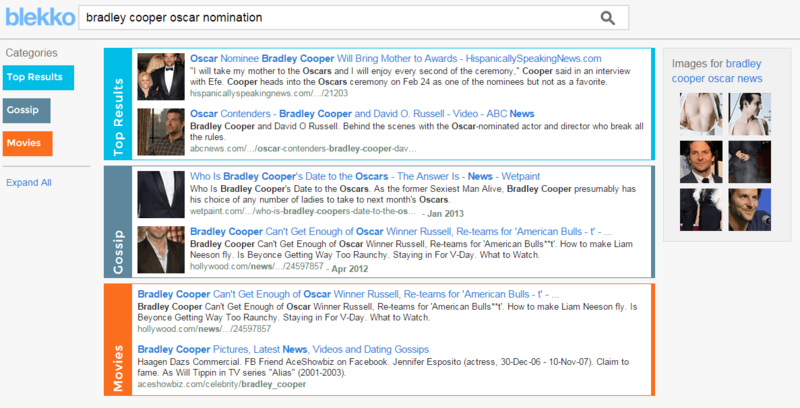 In recent years, Goodsearch has earned the attention of many celebrities, including Zooey Deschanel, Jessica Biel, and Montel Williams. Another search engine boasting enormous social and trust capital is GigaBlast. Founded in 2000, GigaBlast is, according to its LinkedIn page, the “leading clean-energy search engine.” An impressive 90% of its energy usage comes from harnessed wind energy, and the company maintains fewer than 10 employees. Though it’s physically small, its power is big. GigaBlast indexes well over 10 billion pages of content. As environmental issues become more prominent in public consciousness, people are more likely to turn to sites like GigaBlast. Though a relative unknown in the United States, Chinese search engine Baidu is a juggernaut on the international scene. It’s the top search engine in China (with 62% of search engine market share in 2013), and it is the second most popular search engine in the world. “China’s Google,” as it is nicknamed, has been steadily growing since its incorporation in 2000, and it has recently begun courting English-speaking developers. Its features include searchable webpages, audio files, and images, a collaborative encyclopedia, and a bustling discussion forum. Thanks to its savvy smartphone integration, it has leapt past its immediate competitor, Qihoo 360, which now has only 21% of the Chinese search engine market share. If Baidu manages to continue its domestic success abroad, it might not be long before it does become a household name in the United States. Once-popular search engines like AOL.com and InfoSeek have either died out or are now sock-puppeted by their former competitors. InfoSeek attempted to charge for searches, failed, adjusted by depending on gaudy banner advertisements, became a generic “portal,” and was finally salvaged by Google. As AOL declined after its merger with Time Warner, so did its search engine. Now it is also part of Google. Search engines in the preceding list still thrive because they capitalize upon some distinct corner of the market. For some, that market involves corporate social responsibility (Goodsearch, GigaBlast), social trends (Blekko), privacy concerns (Duck Duck Go), or utility (Yippy, Dogpile). Giants like Google, Bing, and Yahoo largely dominate the general market, so the others have had to specialize to survive.